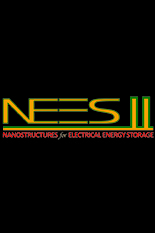 The Fall 2018 issue of Frontiers in Energy Research features NEES. The team's research appears in Meet a Better Battery: All Solid Materials Facilitate Safer Energy Storage (https://www.energyfrontier.us/content/meet-better-battery-all-solid-materials-facilitate-safer-energy-storage), written by Emily Sahaedo, a graduate student with NEES Deputy Director Sang Bok Lee. It is about how 3-D batteries, enabled by atomic layer deposition, deliver more energy and power.